Planning a trip to Boston? Make sure you pack your appetite! No matter what the season, you’ve got to sample some of Boston’s best food. Here are 7 yummy snacks not to miss in the city! 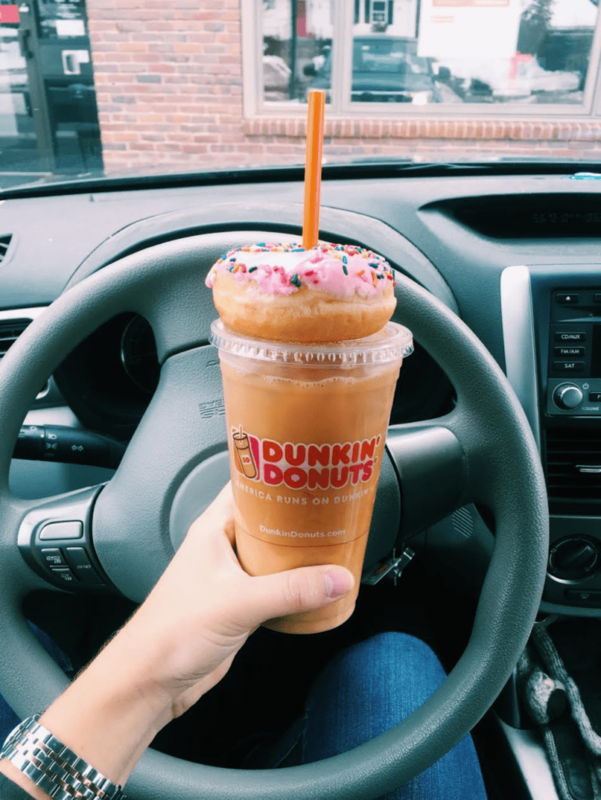 Get yourself straight to Boston’s very own Dunkin’ Donuts. The advertisements don’t lie when they say that ‘America Runs on Dunkin’. It never fails to surprise me that iced coffee just isn’t a ‘thing’ outside of the states, so if you’re traveling to America from another country, now’s your chance! This now international coffee chain began just outside of Boston in Quincy, Massachusetts. With flavours of iced coffee ranging from Hazelnut to Blueberry to Butter Pecan, you’re in for a treat. Don’t forget to order a donut to make the experience even better. The oldest operating restaurant in America, Boston’s Union Oyster House, is in the heart of Faneuil Hall, known as Quincy Market to the locals. Clams are grown locally to Boston and Union Oyster House will always have a fresh assortment ready. What are you waiting for? You might be 4,000 miles from Rome, but you’d never know it during a stroll down cobblestoned Hanover Street in Boston’s Italian District: the North End. Gelato, pizza, spaghetti – it’s all there. But what you really need in your life is a pastry from Mike’s Pastry. Yes, there will be a line, but fear not! It moves along quickly. Pro tip: it’s cash only, so have your dollars and your order ready— you can’t go wrong! If you’re visiting in the Fall (September to November), squeeze in some time for a visit to one of the many apple orchards in Massachusets. There’s nothing like picking your own fresh, crisp and juicy apples! But even better? The treats that come with apple picking. Apple cider donuts are made with tangy apple cider in the batter and are rolled in cinnamon sugar and served warm. #yum. Nothing says summer like a Cape Cod lobster roll. They’re best enjoyed after a day lounging on the beach and baking in the sun. For those that don’t know, think: fresh Cape Cod lobsters in buttered and toasted brioche buns with a side of coleslaw and onion rings. Drooling! A visit to Boston isn’t complete without catching a game at Fenway Park, the oldest ballpark in Major League Baseball. Even if you’re not a huge baseball fan, Fenway is an intimate park filled with American history and is well worth a visit. Try to snag a picture with the lovable team mascot, the Green Monster, while you indulge on cracker jack, soft serve cones and the city favourite: The Fenway Frank! Go Sox! Boston is home to a number of large breweries, but the Harpoon Brewery is an experience in and of itself. Spend the day at Boston’s most up-and-coming district: The Seaport. Brewery tours are just $5 and include a visit to the tasting room where you can sample as much beer as you can handle in the space 10 minutes (seriously!). After your tour, chill out at the onsite bar and be sure to order one of the pretzels. Sweet. P.S. Check out my photo tour of Harpoon Brewery here! This post was adapted from a post originally written for and published on Topdeck’s The Collective Blog. I need to go to Boston!